Scottish influences in Sri Lanka, previously known as Ceylon, can be traced back over 200 years when British colonies started replacing the Dutch in the late 18th Century. After colonies were established settlers looked towards agricultural interests, initially coffee, but with disastrous results. A tea trade was later established by Scotsman James Taylor, who started growing a unique variety of tea founded by Robert Bruce, a Scottish trader and explorer. 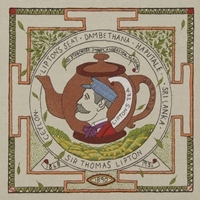 Taylor’s ‘Ceylon Tea’ was a hugely successful enterprise and paved the way for another Scot, Glasgow-born Thomas Lipton. Thomas Lipton was a Glasgow shopkeeper who had spent time in America where he was introduced to American enterprise and salesmanship. 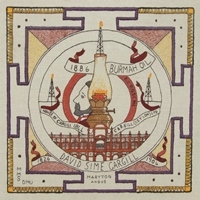 This influenced his working life and he gradually opened a chain of stores in Scotland, working to the ethos he had learned, eventually becoming a prominent household name. Through his businesses, Lipton recognised the growing tea trade in Britain and later travelled to Sri Lanka in search of a way to make tea cheaper without losing the quality. He purchased his own tea gardens, allowing him to control the whole process ‘from tea garden to teapot’. On his return to Scotland his tea was a huge success and Lipton became a famous tea merchant which earned him a knighthood by Queen Victoria in 1898. Not only did Lipton himself become a household name, but he helped to raise the profile of Sri Lanka as a prominent tea producing country, second only to India. Lipton is still a household name today.